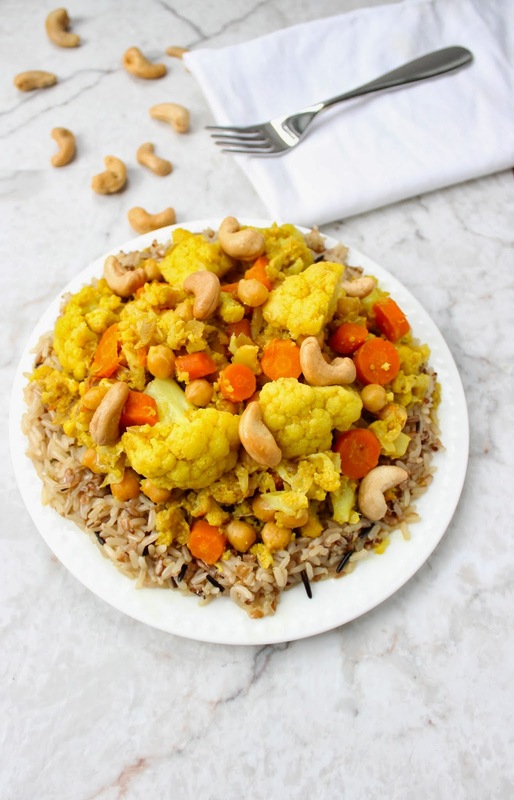 This curried cauliflower stew comes from the wonderful cookbook, The Heart of the Plate. My vegetarian friend Kara got it for me, and I'm in love with it. It's illustrated with cute water color renderings of vegetables and full of unique, plant-based recipes. Kara also happens to be one of the loveliest, kindest and most brilliant people that I know, so if she recommends something, I take it seriously. 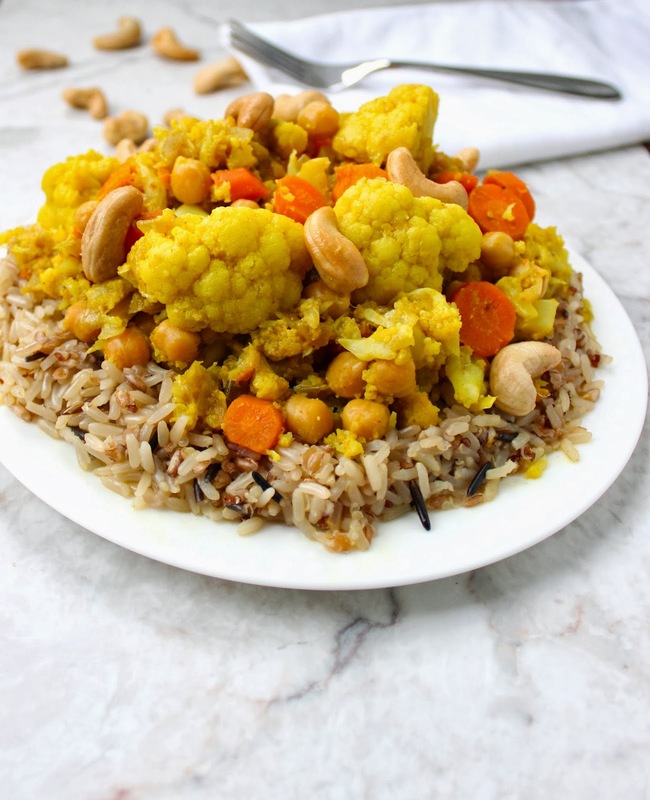 This recipe stood out to me immediately because of the cauliflower and the variety of spices. It looked hearty and filling yet still light and healthy, which is just the kind of thing I'm craving on these cold winter days. Make this for lunch and then show this week who's boss! You've got this. Oh, and it case you didn't hear on Facebook yesterday, last week's marshmallow filled molten chocolate cakes were featured on Buzzfeed's 15 Molten Lava Cakes You Could Fall Hard For! Check it out! Heat a large dutch oven over medium heat. Add oil, then onions, ginger, mustard, cumin, salt, turmeric, and coriander. Cook for about 5 minutes, or until onions are starting to become translucent. 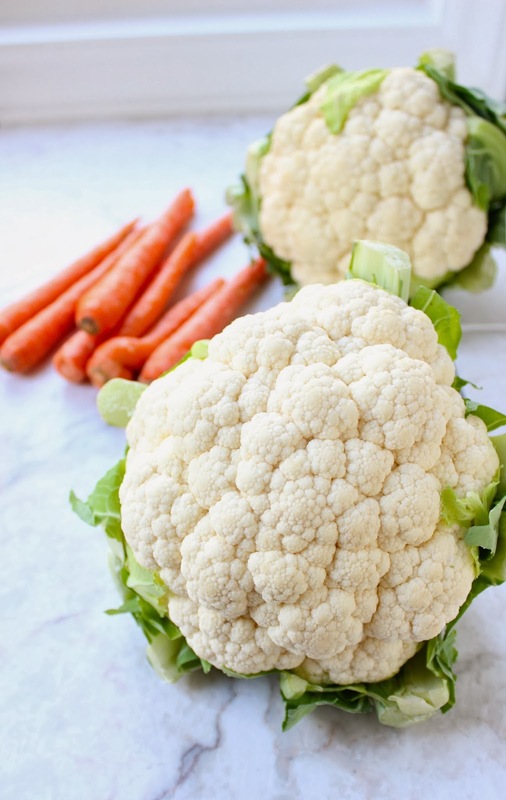 Add cauliflower, carrots and water. Reduce heat to medium low and cover. Cook for 15-20 minutes or until vegetables are tender, stirring occasionally. Add in the yogurt and chickpeas and heat until warmed. Add salt, pepper and cayenne to taste. Adapted, barely, from Mollie Katzen's The Heart of the Plate. Having a healthy delicious meal like this at the ready is always such a good feeling! I am a HUGE curry fan/addict. Can't wait to try this! I know what you mean but for me it's more than lunch. If my pantry and refrigerator aren't full or there's not at least lunch and dinner in the fridge, I'm impossible to live with. 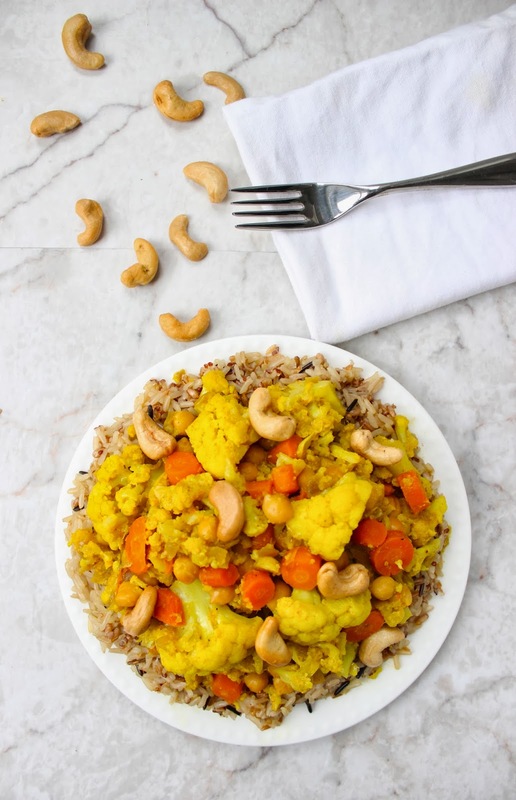 I've never tried curried cauliflower stew but it sounds like a perfect lunch to me!